Mrs. May did this yesterday, partly. She said that her objective is to create a society based on social justice. The problem is that I don’t believe her. Not that I don’t believe she believes in what he is saying but that it’s not a credible objective. She is as unlikely to achieve social justice as Mr. Cameron achieved his Big Society – whatever that was – because we all know that social justice is a woolly unachievable aspiration. We also know that her own track record in the pursuit of social justice is mixed. What has she achieved under this heading? She may have done lots, but I don’t know about it. Indeed she is known to be tough on migrants. As a migrant myself, I find that at odds with an assertion about caring about social justice. I’m also wary of the phrase “giving us more power” over our lives. That’s’ code, in my mind, for abrogating responsibility. It also sits uncomfortably with the fact that her new home is located in the Borough of Westminster. In some of its wards, 78% of children live in poverty (Government Indices of Multiple Deprivation). It has the third highest rate of child poverty in London and nationally (SNA Report 2014). It is one of the worst boroughs for ethic minority groups in terms of health & wellbeing (Runnymeade Report 2016). This is all on her doorstep. She has been working in that borough as Home Secretary for six years. Maybe she doesn’t know about it. But if I were setting out my stall as The Social Justice PM I would know about my starting point. So, if you are a CEO or a function leader starting your First 100 Days make sure that your objective is as credible as it is clear. Had Mrs. May said that her objective is a 10% increase in social justice measured across seven headings then I would have been impressed. But she didn’t. Strategy, one of the most misused words in the English language, means “how” you achieve your objective. Michael O’Leary’s strategy was to annoy customers so much that they expected nothing more than a safe flight. He succeeded. Pure genius, as the Guinness people love to say. On this analysis Mrs. May was notably silent on the issue of how, precisely, she is going to achieve social justice. If she has one and didn’t tell us, then I worry why. If she hasn’t, then I just worry. So, I strongly advise you never to articulate an objective without declaring a credible strategy to achieve it. There’s that “c-word” again. Credibility. It’s important. But I have sympathy with leaders who have difficulties formulating their strategy. This is acceptable provided you admit that your current strategy is to find strategy. What isn’t advisable is to have no articulated strategy. She hasn’t. Whilst plans are lists of actions to be taken by people to deadlines, they also reflect decisions on agreed behaviour. 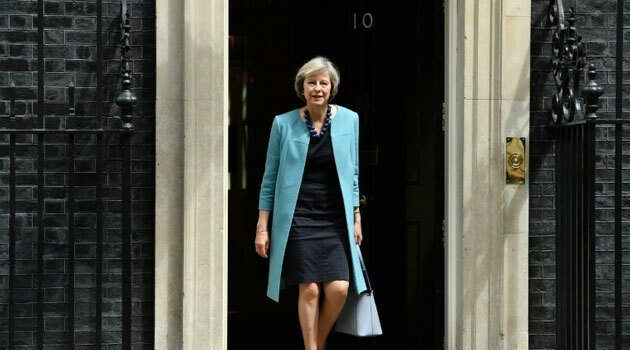 The most important behaviour Mrs. May has to illustrate in her first hundred days is her ability to create an environment in which her team can thrive in the implementation of the strategy to achieve the credible objective. This includes her behaviour in making appointments. Already, on Day 1, she has illustrated that she doesn’t yet fully understand the importance of this step in the appointment of Mr. Johnson as Foreign Secretary. We know she doesn’t trust him. So she must be setting him up for a fall, as he will. That may cause mirth but it will be very serious for us all. Mr. Davis’ appointment as Head of Brexit is also worrying. She should do that job. But how can she? She voted Remain. But maybe she didn’t mean that. If so, she’s not credible and her first hundred days will end in tears. Posted on July 14, 2016 by Ciaran Fenton. This entry was tagged leadership 101, politics, prime minister, theresa may. Bookmark the permalink. http://www.liw3.com Bleet me! Sign up for bite-sized chunks of pragmatic leadership thinking, straight to your inbox.